As former President George H.W, Bush continues to battle health problems, a nice laid back vacation with his family is just what the doctor ordered. 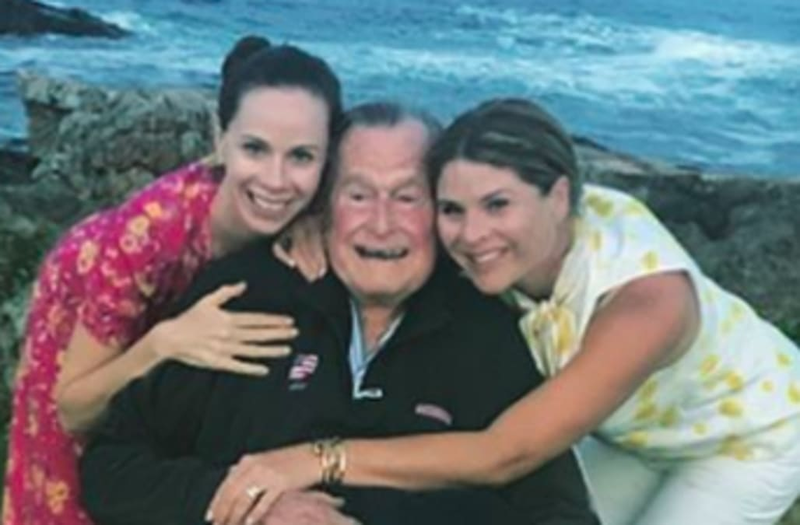 Former first daughter Jenna Bush Hager took to Instagram to highlight her summer vacation in Maine at her family's Kennebunkport compound, including a rare, heartwarming photo with her grandfather, the former president. "Back now...but dreamed of Maine last night," she captioned a photo of herself with her grandfather and her sister, Barbara. "Love this place...love these people. What a magical week with the ones I adore." This is the first summer the family has spent in Maine since former first lady Barbara Bush died in April. Bush Hager also posted pictures of her kids enjoying their time at a local Ben & Jerry’s ice cream shop, as well as the entire family on the tennis court. The former President has battled health issues over the past couple of years, and, in June, he was discharged from the hospital in Maine after treatment for low blood pressure.